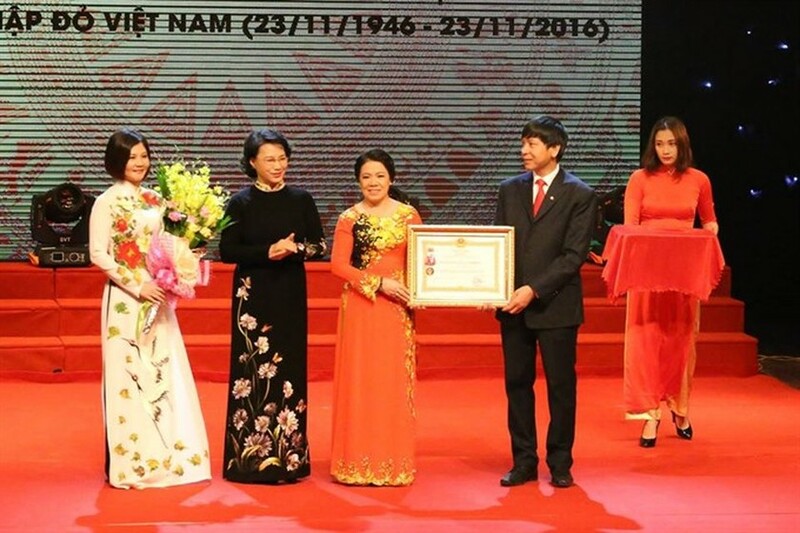 National Assembly (NA) Chairwoman Nguyễn Thị Kim Ngân asked the Việt Nam Red Cross Society (VNRC) to continue its humanitarian activities, healthcare, emergency aid and disaster prevention and response programmes at a ceremony to celebrate its 70th anniversary on Saturday. Praising the efforts of VNRC members and volunteers in past years, Ngân said the country still faced many difficulties such as consequences of wars, natural disasters, climate change and diseases. “The society should focus on renewing its organisation and operation methods and strengthening human resources to better implement humanitarian programmes,” said Ngân. The NA chairwoman also suggested the society work closer with the Việt Nam Fatherland Front and expand co-operation with local and international organisations in humanitarian programmes. On the occasion, Ngân presented the Labour Order, second class, to the VNRC in recognition of its dedication to humanitarian causes. It was the second time the VNRC has been honoured with the distinction. Speaking at the event, VNRC Chairwoman Nguyễn Thị Xuân Thu said that the VNRC was Việt Nam’s first professional humanitarian organisation. The society was founded on November 23, 1946 by President Hồ Chí Minh, who was also its honorary president until his death in 1969. On November 4, 1957, the VNRC was recognised as a member of the International Federation of Red Cross and Red Crescent Societies and the International Committee of the Red Cross. 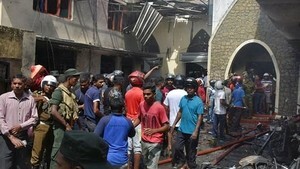 During the renovation period, the organisation has ran large-scale humanitarian initiatives. Since 2008, it has raised nearly US$115 million for the needy. The campaign “New Year for the poor and Agent Orange victims” presents gifts worth VNĐ500 billion ($22.7 million) to 1.8 million needy people each year. The “cow bank” project, launched in 2010, has handed over around 20,000 cows to 20,000 households in 61 cities and provinces at a total cost of approximately $10 million. Over the past decade, VNRC’s chapters have raised nearly $225 million, given support to 22.2 million disaster victims and collected more than one million units of blood each year in blood donation campaigns.